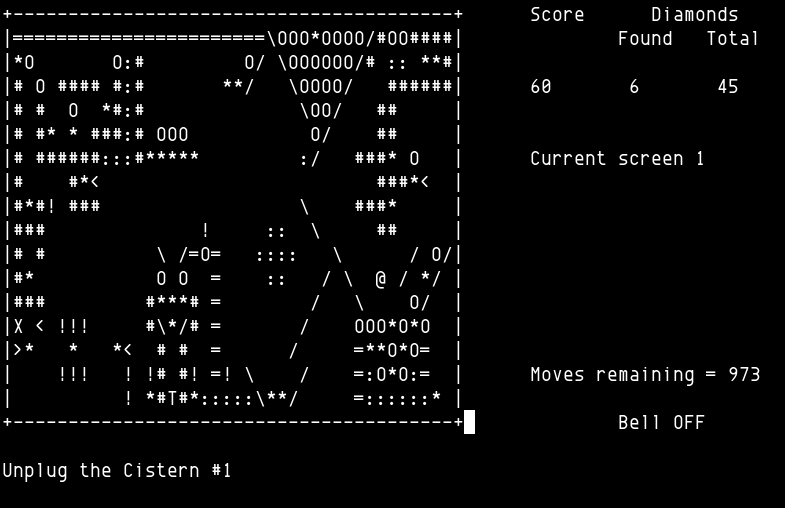 You can switch the modes between the character-mode and an ASCII-art mode using # as seen below. The help screen, ?, is very thorough, you can learn every bit about how to play this game and there is also a wanderer(6) manual page. Wanderer was created by Stenen Shipway in 1988, currently git-c6c57ea (2015-12-10, post v3.2 (2002-12-24)) written in C99 with ncurses under the GPLv3.